I don’t know if the folks in Southern Ontario are more friendly than the rest of the country or whether I’m getting more friendly. I think it’s the latter. When you enter a restaurant with a big, authentic smile on your face and say “hi” it instantly breaks through the barriers people put up. Such was my experience this morning when I entered the restaurant for breakfast. I entered at the same time as another couple who asked me where I came from and where I was heading. 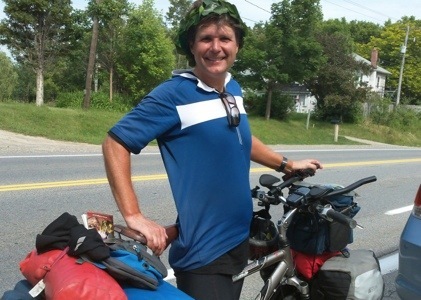 “Toronto” I answered “and I started in Vancouver and this is the last day of a 6 week cycling trip across Canada”. o items and proclaimed “oh, close enough”. It was a great start to my last day. The weather was great and I got out early. Only 130kms and I would be in the GTA. 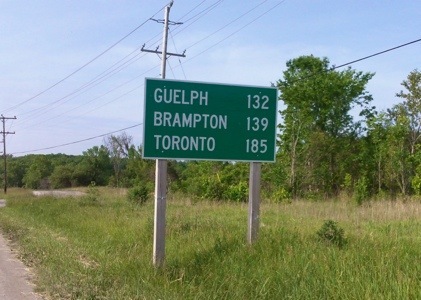 Only 185kms to Toronto. That doesn’t seem so bad. One surprise was climbing over 350m to the top of the Grey Highlands. That’s as high as the highest pass I climbed in the mountains in Northern Ontario. 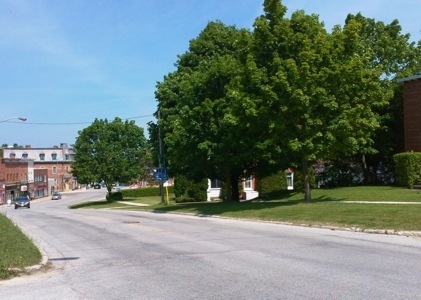 As I approached Toronto towns like Shelbourne and Primrose were very familiar. “People commute to Toronto from here” I thought. We used to camp in Primrose. I recalled every bend in the highway. 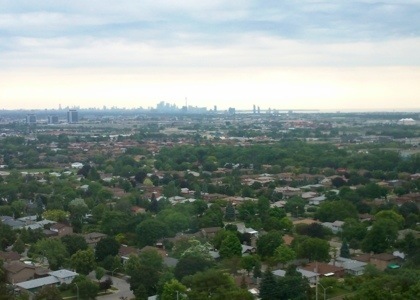 I ended my journey in Caledon East which is within the Greater Toronto Area (GTA). My family was waiting for me at the bottom of the hill and crowned me with a laurel wreath. When my family passed me in the van with 4-way flashers all I could think of was that I had to keep going. It was really weird. I was rolling down a hill and I just thought, well, you can’t waste a good hill. “Keep going” I yelled as I passed the van. But at the bottom, once I held Vicki in my arms, I knew that I’d come far enough, I was done. It was all very surreal, and still is. In Sault Ste. Marie I honestly thought there was little hope of making Toronto by Saturday. But Vicki urged me on. “Go for it” she told me over the phone. Four days, and 650kms later, here I am. I’m thrilled to be back. Although I passed through some amazing places and met fantastic people, as they say “there’s no place like home”. 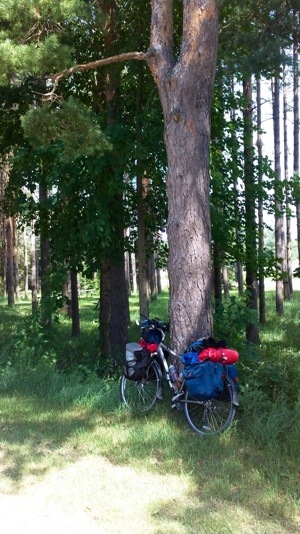 Although the title of this blog is Cycling Across Canada I must end this journey in Toronto. There’s only so much you can do in 6 weeks and I miss my family. 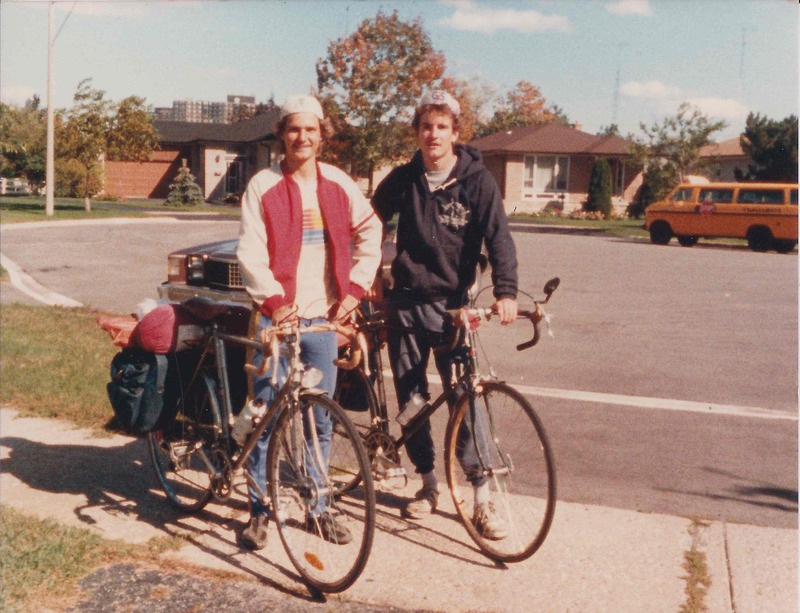 Besides, even though it was a long time ago, I’ve already cycled from Toronto to Halifax. If anyone is interested in continuing this blog all the way to the East Coast please let me know, I would be happy to have another contributor. You can contact me at chrisjschmitt[at]gmail[dot]com. I am raising money for the United Way of Toronto. The United Way is about helping others in our community to have a better life. I hope that my journey will serve as inspiration for others, that if you sent your goals big and overcome challenges you can do great things. The United Way gives people in our community the support they need to overcome their challenges. 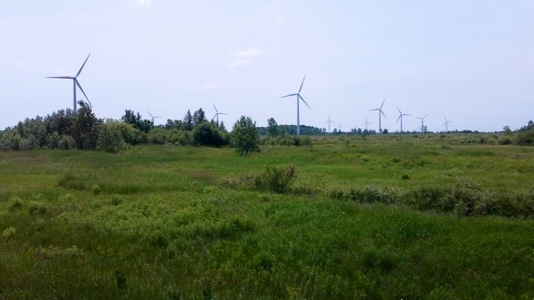 If you’ve enjoyed my blog and found the information useful for planning your own cross Canada cycling trip please consider making a donation here. FYI, all the donations are collected through an organization called CanadaHelps through a feature called GivingPages, which enables people to raise money online for the charities they support, such as the United Way of Toronto.